Iris Global is a Christian NGO committed to expressing a living and tangible response to those commandments that Jesus called greatest: “Love the Lord your God with all your heart and with all your soul and with all your mind and with all your strength,” and “Love your neighbor as yourself.” It is our conviction that the Spirit of God has asked us to make this love concrete in the world, incarnate in our thoughts, our bodies, our lives and our every action. 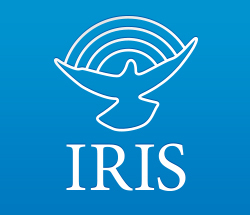 Iris Global exists to participate in bringing the Kingdom of God to earth in all its aspects, but most especially through our particular calling to serve the very poor: the destitute, the lost, the broken and the forgotten. We have been sent to places where “love” must every day mean bread for the hungry, water for the thirsty and healing for the sick. It must mean family for the orphan, freedom for the captives and peace for the war-torn. We want always to make our love real in these ways, for as long as the poor are with us. Our ministry is built around the application of the Gospel to some of the most desperate economic and spiritual circumstances on earth, with all the boldness of which we, in Christ, are capable. The vision for Global Awakening was given to Randy Clark from God during the early days of the Toronto outpouring. God said Randy was to be a “Fire Lighter, Vision Caster, and Bridge Builder”. This call is now upon Global Awakening, and many within the Apostolic Network will help Randy carry out this mandate. How we light fires: through the ministry of impartation, through facilitating the renewal of the Holy Spirit, and by working to see His gifts activated in the people of God, especially leaders. How we cast vision: through teaching the Church to engage in evangelism accompanied with healing, deliverance, and the actualization of the gifts of the Holy Spirit in the Church. How we build bridges: we establish relationships between apostolic leaders and other strong leaders around the world, both with Global Awakening and between each other. We believe that these three things will enable the Kingdom of God to expand faster, reach more of the lost, see more people healed, and see more new local churches planted around the world. 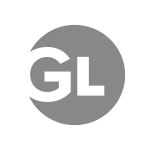 Global Legacy is a relational network that connects, encourages, and equips revival leaders worldwide. We expand God’s kingdom by helping to build relationships between revival leaders, ministries, and organizations around the globe, and to equip them to transform their spheres of influence. Heaven’s government is family, and Global Legacy seeks to express the government of heaven here on earth. We are richer because of our relationship with you and your ministries and organizations. We look forward to running alongside you in pursuit of worldwide revival!